Managing a residential block of flats, where everyone involved, whether landlord, leaseholder or Right to Manage Company or Residential Management Company (RMC) has different expectations is rarely straightforward. People always have different priorities and diverse views. A poorly managed property can have a real impact on the enjoyment of living there and also affect property values. To balance all these views and ensure that the building is protected is complex and requires a professional approach and knowledge of landlord and tenant law, building construction, health and safety regulations, basic accounting and much more. It’s normally the landlord or leaseholders themselves through a Right to Manage Company or RMC that is responsible for the overall management of the building but it’s common for them to appoint a professional managing agent to manage and maintain the property on their behalf. Living in a well managed block of flats can be a real pleasure. But sometimes, particularly when problems arise, there needs to be someone that everyone can go to and who can get things done quickly and efficiently. That is normally the managing agent. The support that a professional and experienced managing agent provides brings peace of mind to everyone involve. As your Managing Agents we will provide a full residential property management service that includes every aspect of the work required to maintain and protect your property and ensure the security and comfort of leaseholders. Austin Rees are a member firm of the Royal Institution of Chartered Surveyors (RICS) and our services are offered in accordance with the ‘RICS Service Charge Residential Management Code’. We also use ‘RICS Terms of Appointment for the Management of a Block of Flats’ contract. 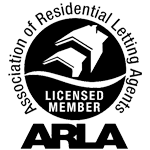 We are also full members of the Association of Residential Managing Agents (ARMA). This level of regulation means that the services we offer are transparent, efficient and cost effective. Every property we manage has a designated Property Manager and Account Manager who will be your primary points of contact. Between them they look after day-to-day management, budgeting, contracts, income and expenditure for your property. Our Directors and Property Managers attending on site discussions and client or leaseholder meetings. Providing emergency and out of hours contact numbers so that we are the natural first point of contact for residents. Organising day-to-day service contracts like cleaning services and gardening using only tried and tested contractors. There is more information on the fees and charges page. Why choose an ARMA accredited managing agent? ARMA-Q accreditation is a badge of excellence, giving our clients complete confidence in our ability to manage their property. It shows that we abide by ARMA’s strict codes of conduct, consisting of 180 bespoke property management standards. This short video will provide you with more information about ARMA and explain how they promote excellence through advice, guidance and training.